No one loves a candle more than me... No one! Do you know what I love better than a candle? A beautiful, sweet smelling candle born out of recycling! 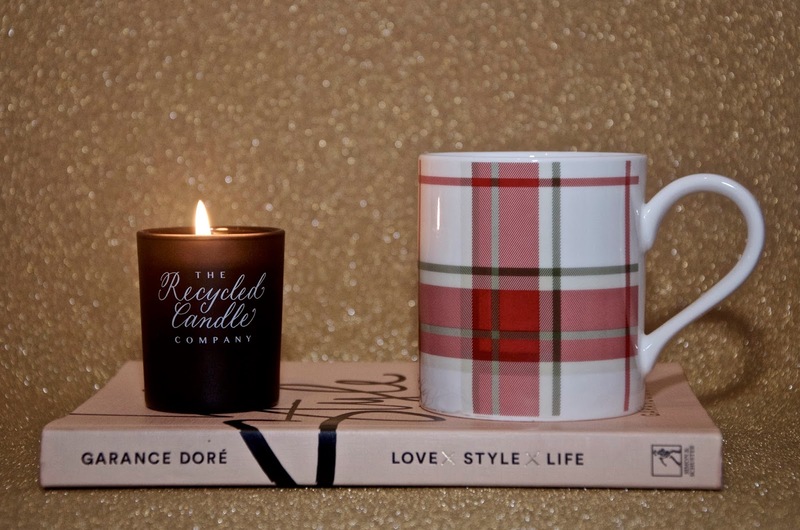 Allow me to introduce you to The Recycled Candle Company, a lovely British brand proving that "one man's trash is another man's treasure" with every beautiful candle they create! It all began when Richard, the founder of The Recycled Candle Company was a small boy, making jam, soaps, jellies and candles with his mum. It was then that he had the idea to melt down the family's old candles so they could be recycled into new ones. He eventually realized the potential of his hobby, both as a business and for its impact on the environment and The Recycled Candle Company was born. The concept is fairly simple and yet genius at the same time. They will collect scrap candle wax and recycle it to create something new and wonderful to love, cutting down on waste disposal costs as well as the waste itself. They collect the wax, often from local businesses in London like pubs and restaurants who have a lot of candles and are keen to reduce their waste, then the wax is melted, cleaned, dyed and scented. All the candles are made in-house in Devon where something beautiful is created every day from discarded wax that would normally sit unused and unloved in landfills. 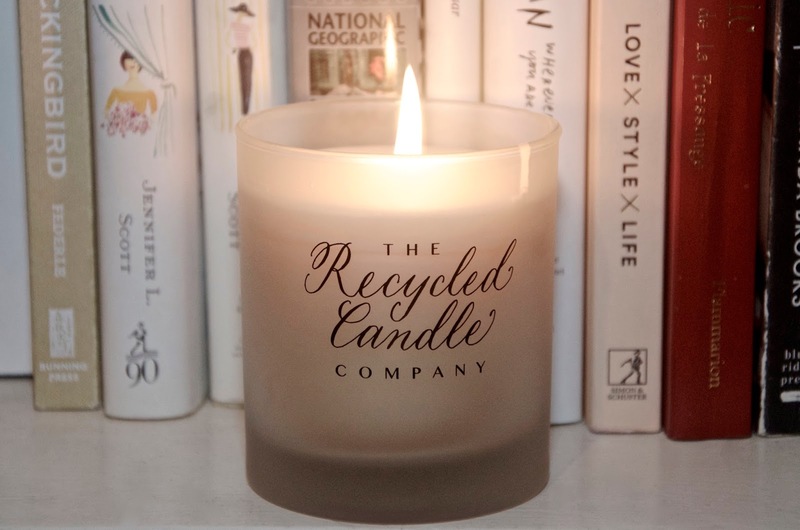 * If you're interested in having your unused candle wax collected and recycled by The Recycled Candle Company, click here to get in touch with them. Nine scents are available in either clear, frosted or black matt glass votives or jars. I opted to try the Bitter Orange & Ylang, Lavender & Rock Salt and Rose & Oud scents. It's very hard to decide which is my favorite because they all smell amazing. I even love mixing & matching these scents, burning 2 or sometimes all 3 at once for a unique blended fragrance. Each of these candles is beautifully scented, but so subtle and light. While these beauties are very capable of scenting a room, they aren't overwhelming and won't leaving your house smelling like an artificially scented macaroon. These recycled candles are nothing short of lovely and they are handmade right here in the UK in Devon. The Recycled Candle Company jar candles are £23 and the votives are £9.50. They also have a selection of made-to-order items on the website. 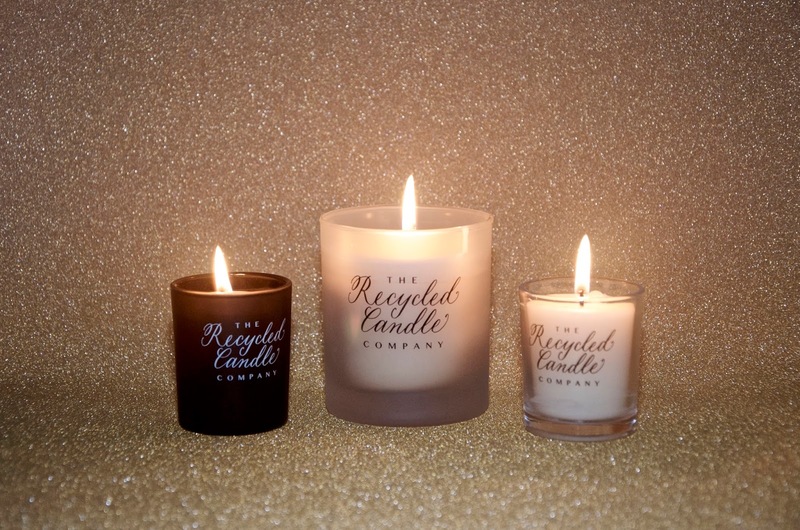 Lucky for you, The Recycled Candle Company has offered a discount code for Pink Julep! Simply enter PJULEP15 to receive a 15% discount off your order of anything on the website until 31 January 2017. *Special thanks to The Recycled Candle Company for collaborating on this post and offering a special discount code for Pink Julep readers.